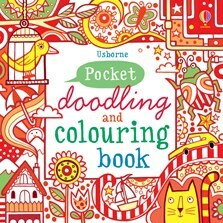 Packed with pages to colour, drawings to complete and doodles that grow and grow. Doodlers can complete the scenes however they want and the craft paper quality pages are ideal for drawing on. Includes an astonishing selection of activities and lots of suggestions for ways to complete the pictures.